Kempe fell from 4th place in the Silver Fleet to 14th with 216 Net Points, also sailing in the Silver Fleet was Ebbin who moved up 13 places to finish in 18th place with 231 Net Points. 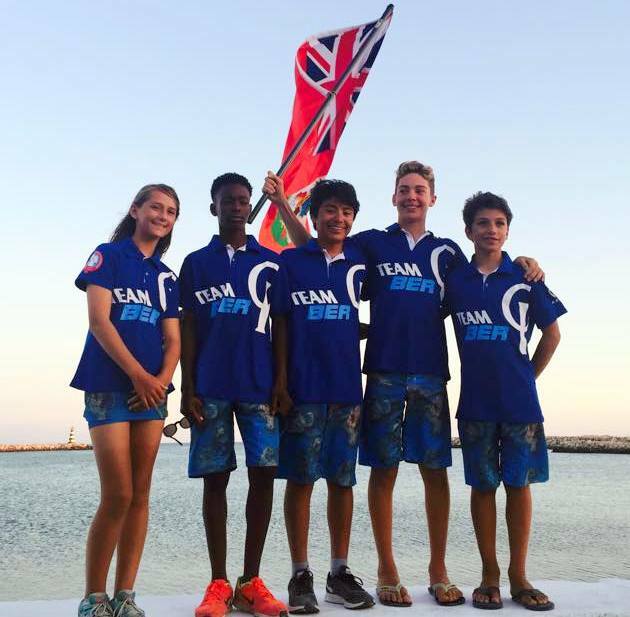 Walker was the only Bermuda Sailor in the Bronze Fleet and she moved up four places on the day to finish in 56th place with 421 Net Points. Ringsted sailing in the Emerald Fleet jumped another 5 places to finish the regatta in 6th place in the Fleet with 301 Net Points and Smith moved up 1 place and finished in 11th with 316 Net Points.